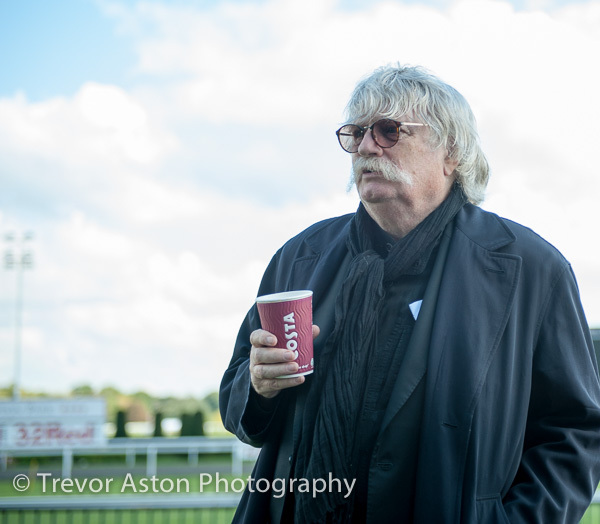 Karl Jenkins, listening to his work, ‘The Armed Man’. 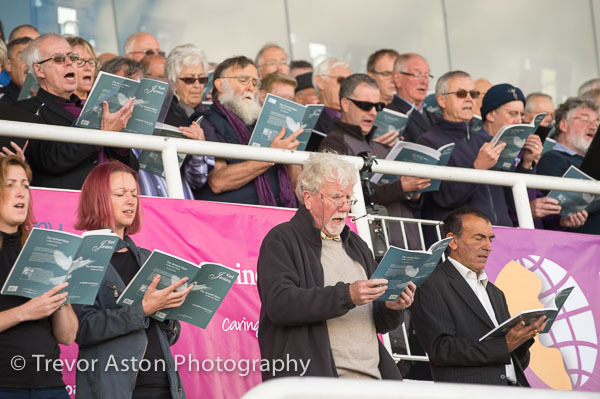 His said he liked the sound resonating around the Kempton Park grandstand.. 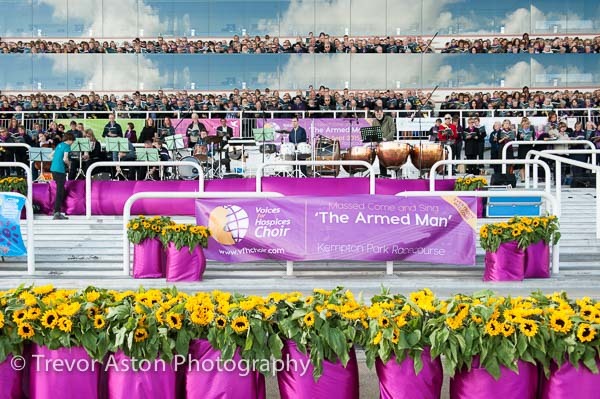 Hundreds of choristers, an orchestra and a band assembled at Kempton Park one blustery Sunday morning to rehearse and perform Karl Jenkins ‘The Armed Man – A Mass for Peace’. 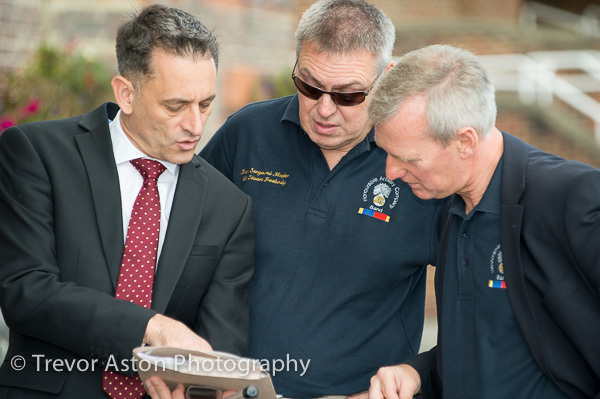 It was to raise money for the hospice movement, one I was happy to support with photography of the event. I’d heard them perform this magnifcent work before, so I was pleased to have the chance to hear it again. But the best treat was meeting the composer Karl Jenkins. He was speaking via a PA system to the singers and musicians when I arrived. I wish I’d got there 10 minutes earlier. Then he stood quietly to one side, in his greatcoat and behind his even greater moustache listening to his music. The rehearsals went on all morning, then just before lunch the choir and orchestra were joined by the the Band of the Honourable Artillery Company who were to play some ‘national’ anthems before the main piece. A military band make’s a stirring sound and they got a great round of applause from the choir after their rehearsal. 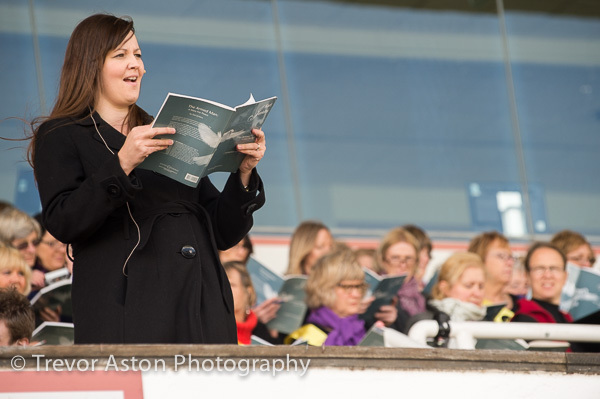 Despite the chilly breeze blowing around the grandstand, the enthusiasm of the choir was was undiminished. The Band of the Honourable Artillery Company put on their uniform marched in, a splendid sight! 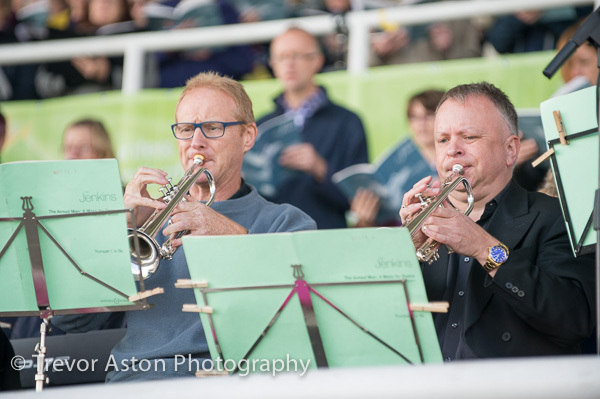 Musical Director of Voices for Hospices, John Sutton, rehearses the choir with the band. Major Glen takes his lead from John. 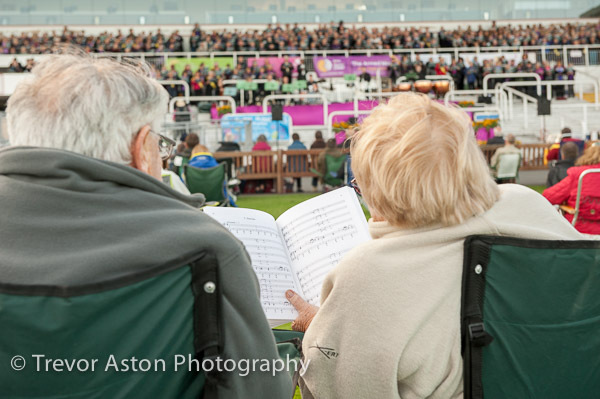 You can spot the serious music appreciation, it’s the people listening with an open score! 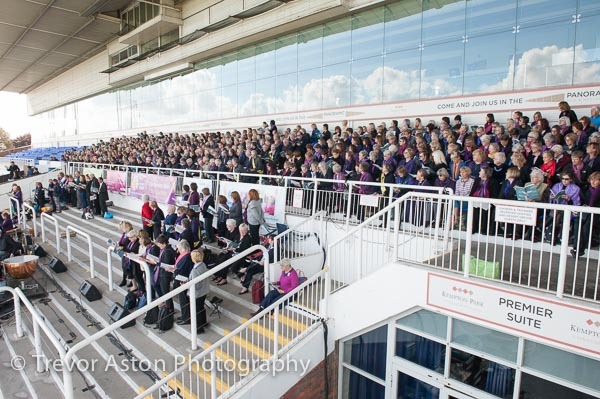 This entry was posted in event, outdoor and tagged choir, choral, event, Kempton, sing.